The Travelon Anti-Theft Urban Backpack makes an exceptional commuter and travel bag. It features a main compartment that holds both a laptop and an iPad or tablet with room to spare for paperwork, files, a shirt or other items. The second compartment features an organizer with an RFID blocking card slot, zipper mesh pocket, pen loop, card slots, and wall pocket. A hidden zipper compartment holds tickets, gloves, sunglasses. The Anti-Theft features of this bag include locking compartments, slash-proof chain-link body construction and cut-proof straps. Additional pockets include a zippered mesh expansion pocket for a water bottle, a mesh expansion side pocket and a mesh expansion smart phone pocket. 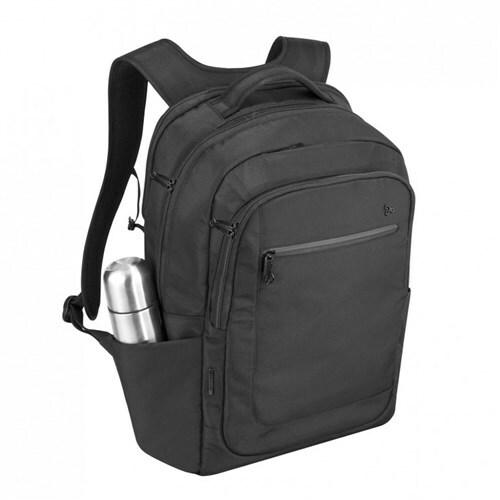 The Travelon Anti-Theft Urban Backpack-Black has many exciting features for users of all types. You can extend the lifetime of your Travelon Anti-Theft Urban Backpack-Black with the purchase of a FactoryOutletStore Factory Protection Plan. 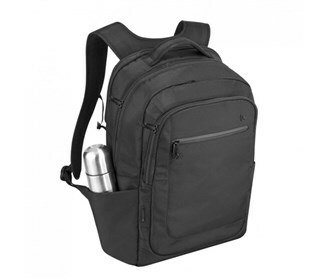 See the Travelon Anti-Theft Urban Backpack-Black product video above for more details. The Travelon Anti-Theft Urban Backpack-Black is sold as a Brand New Unopened Item.